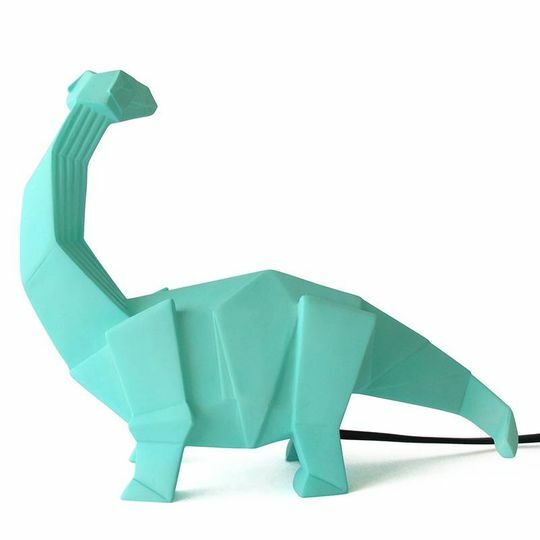 Disaster Designs origami lamp dino, a great lamp for your kidsroom or nursery in deep mint. 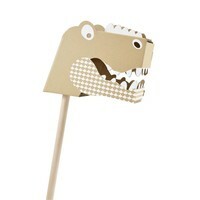 De Diplodocus is 20.5 cm tall en 9 cm wide, from his nose untill the tip of his tail he is 24 cm long. Made oud of polyresin with led and a cord of 140 cm with a switch on it. The LED's have a life expextancy of 50.000 hours. 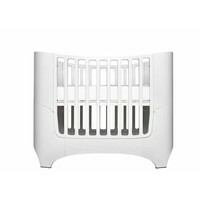 CE certified. 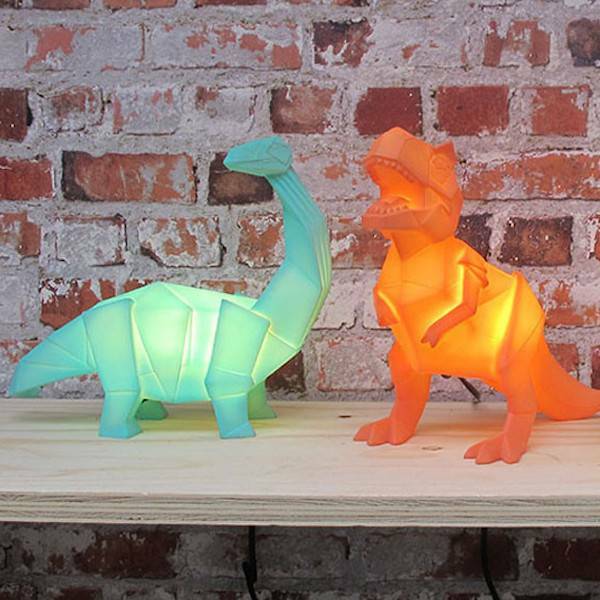 The lamps by Disaster Designs are great accessoiries for the kidsroom.